There is some rationale here but on the other hand, when people search in Google for <i>super tasty dog food</i>, very few will use quotes for the exact match. Just a little confused about the competition numbers. I though that when researching competition for a specific keyphrase you should enter it as a phrase match ex. "super tasty dog food" otherwise your results will be full of websites that have some of the keywords on them but possibly not others, is that correct or am I wrong? Thanks. I actually did realise that I should be using "phrase match" and not exact match. I look forward to seeing it in your tool as I feel its more honest in its results. In the software (I mean Rank Tracker) this possibility will appear only in a couple of weeks. 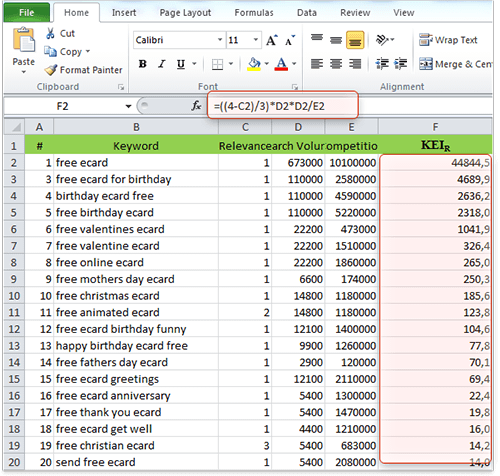 Outside Rank Tracker you can use Google Adwords for the number of searches, and you do not need to use "exact match". 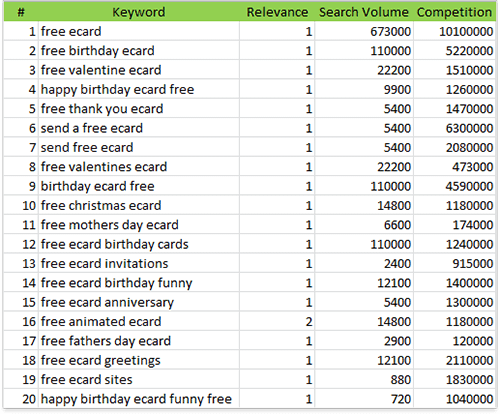 Can I use Google Adwords "Keyword Tool" to determine the number of searches on a keyword for the last month? If I do should I use the [exact match] facility? Thanks for deciding to give SEO in Practice a good read! Oops... sorry! I should have proofread it before pressing send. I meant I AM going back with a fine toothcomb. Loving this book... thank you for the time you have put into it. I'll admit I scan read it first... before deciding whether it made sense in my logical (at times) head. But after it making so much sense... I'm not going back with a fine toothcomb. I'm a little confused though. I thought it would make sense to target words or phrases that have high searches but not so many results in Google. Am I oversimplifying it? I've always relied on common sense. This works extremely well for all of our client sites... and perfectly for one of my blogs (which is at number one in Google for around 80% of the posts made on it). But the site I really need to work on still struggles for anything other than long keyphrases. Am I barking up the wrong treee here hon? As I keep saying, KEI is a <b>relevant value</b>, which means it works to compare keywords to one another and decide which ones will work best for you. Therefore, the formula for KEI was invented to better serve the <b>comparison</b> purpose. In both cases KEI would be = 1/3 which would make both keywords look equally profitable, which is not exactly right.